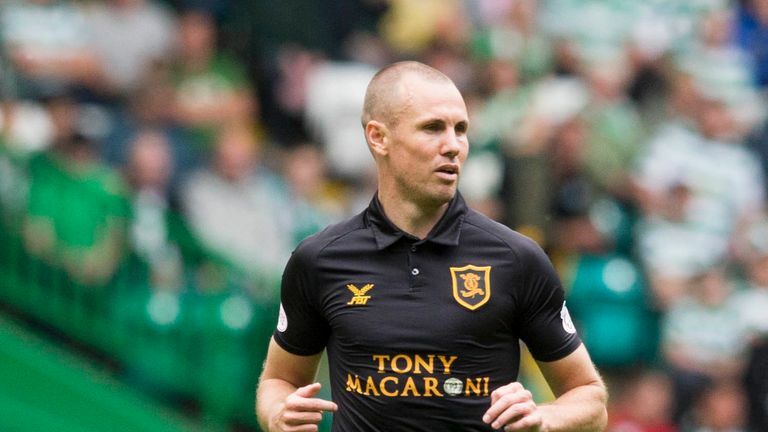 Alan Stubbs has refused to rule out a move for Kenny Miller, a day after he left his role as player-manager of Livingston. St Mirren were interested in signing Miller during the summer before he joined Livingston and, if he was to sign this week, he could make his Buddies debut this Saturday - against Livingston. The West Lothian side announced on Monday that the former Rangers and Scotland forward had left the club after two months in charge as player-manager. Stubbs told Sky Sports News there have been no discussions thus far, as Miller has "a few things to tie up" at his former club but admitted he could be a target if the circumstances change in the coming days. Asked if Miller could be in the St Mirren squad to face Livingston this weekend, Stubbs said: "I don't know, to be honest. It was something we discussed in the summer, whether it is something we discuss over the coming days and weeks you'll have to wait and see. "I think he still has a few things to settle at Livingston, a few things to tie up, from what I can gather reading the papers and the news. Once that is resolved then we'll see. Obviously, he still wants to play. He's still got qualities that we feel could potentially help us and we could help him. "If it is something that Kenny decided he wanted to do then I'm sure there would be an interest from our behalf." Stubbs admits it would be a strange scenario if Miller was to sign and then make his debut against his former club. "I don't think many people would have foreseen that but you know what football is like. You never say never, we'll have to just wait and see," he added. Stubbs completed the loan signing of Lee Hodson from Rangers until the end of the season on Monday.